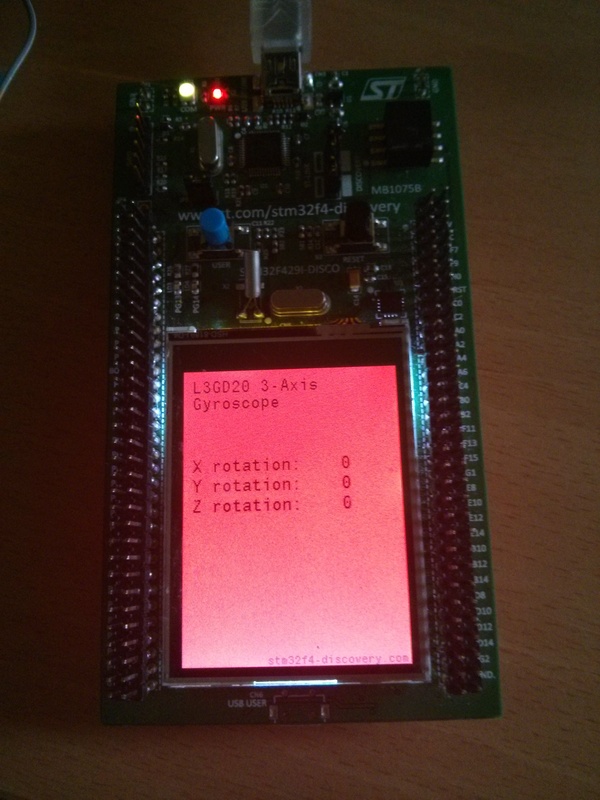 MEMS sensor L3GD20 is included on STM32F429-Discovery board, so I made a library to use it. This is 3-axis digital gyroscope, so it can measure rotation in X, Y and Z axis. L3GD20 sensor works with SPI communication, or I2C. On Discovery board is connected for SPI mode, SPI5 is used for communication. L3GD20 can be set to work in 3 different full scales: 250, 500 and 2000 dps. Sensor has also possibility to measure temperature, but this is not included in this library.